The most visible parts of our work are websites and apps, but it would be a mistake to assume that what you can see in our Portfolio is all ke Solutions does. We often operate under nondisclosure agreements and confidentiality clauses that do not allow us to mention highly technical and challenging projects we successfully completed for some very demanding customers. On top of that, we have our internally-generated projects that we do not advertise at all until they are finished. We are ok with that. Over the years we had discovered that building something a customer loves is the best ad campaign. Nowadays we do our best and try to balance simple projects with large ones, requests from long-time customers with projects coming from new customers. We value our company’s development trajectory too much to get stuck in just one niche or stop dreaming up new challenges. Well-to-do web & app development companies often stop taking in projects coming in from the small business community. We beg to differ. 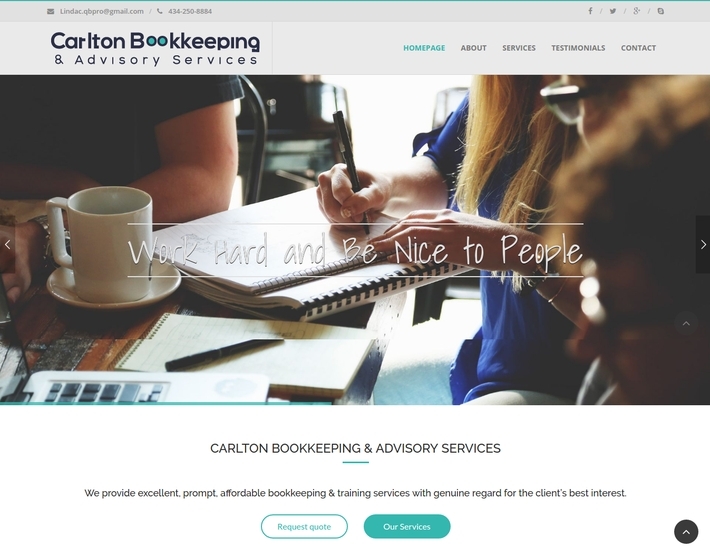 Take the Carlton Bookkeeping website as an example: a business built and nourished by a very dedicated businesswoman with extensive experience in helping clients keep their financial software running smoothly as well as helping them get out of the fixes they can’t see a way out. In many respects, a typical hard working SMB. We take projects like this because we believe quality can be had at very reasonable prices and within tight deadlines. ke Solutions started its business by serving SMBs and while we grew a lot since then, we will continue to take in small projects. It is our way of acknowledging that being good at something is not necessarily connected to being able to land big projects. After all, most of today’s internet giants started small. 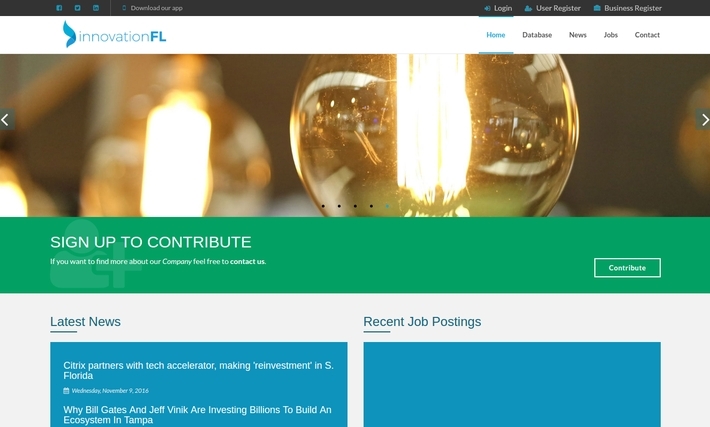 Innovation Florida is a startup incubator & accelerator created expressly to connect the state of Florida's technology assets through a shared resource and advocacy center that provides support in the areas of policy advancement, academic outreach, workforce development, talent acquisition, and entrepreneurialism. They wanted a website that would show their work, their results, their partners, job openings, etc. Plus, they wanted an app that will mesh up with the website. And they wanted it fast. We delivered. On time and on spec. Websites and apps are tools; extremely useful tools, granted, but just tools. By that we mean that they can be employed not only for businesses but for non-profit organizations or, as is the case here, for synagogue that wants to keep in touch with the community it serves. All Peoples Synagogue came to us with their website and asked to make it responsive. It became increasingly obvious that a lot of people were visiting their website from smartphones. While you could still check the information on a smartphone browser, it was quite inconvenient and it involved a lot of zooming in and out and moving from left to right on pages that were too large for the smartphone display. They knew ke Solutions emphasized responsiveness as a mandatory requirement for any website these days. Perhaps they even checked our Responsive Design Checking Tool to see how their website was being displayed on different screens and didn’t like the results. In any case, today their website is fully responsive. Do you need a website? A professional marketing campaign? An app that will bring value to your business or organization? ke Solutions has both the knowhow and the experience to give you solutions that take into account the complex business environment your company is part of. Check our Services page and contact us for information or any question and see how prompt we are!